POND HOCKEY MALLARDS & TEXAS JR. STARS FORM AUSTIN METRO HOCKEY LEAGUE (AMHL). 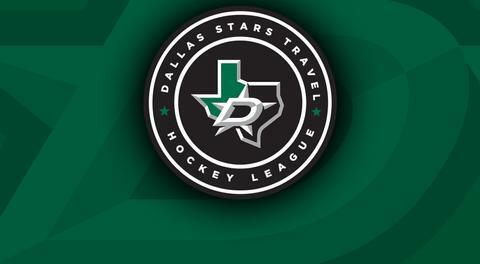 FRISCO, Texas - The Dallas Stars Travel Hockey League (DSTHL) and Texas Amateur Hockey Association (TAHA) announce today a merger between the Pond Hockey Mallards and the Texas Jr. Stars travel hockey organizations. Along with the combined program at the travel hockey level, the creation of a unified in-house league in the city of Austin, TX is contained within the agreement and will be known as the Austin Metro Hockey League (AMHL). The newly formed travel hockey association will be called the Austin Metro Hockey Association (AMHA) and will be facilitated by a board of directors with members from both leadership groups of the former Pond Hockey Club and Texas Jr. Stars. The teams will be branded Texas Jr. Stars in conjunction with the Dallas Stars American League (AHL) affiliate Texas Stars, which plays out of Cedar Park, TX, a northern suburb of Austin, TX. Although the association is newly created both the youth hockey leaders with the Mallards and Jr. Stars along with upper management at Cedar Park wanted to continue the naming affiliation between youth hockey in Austin and its professional counterpart. "This is a big step forward for the youth hockey community in Austin. The smaller hockey communities that surround DFW are vital to the growth of hockey in Texas and the Southwest region, the unification between both facilities and clubs in Austin will create a healthier environment that promotes growth and will be more sustainable in the future" said TAHA Travel Section President & DSTHL Director of Hockey Operations Lucas Reid. The Austin Metro Hockey League travel teams will commence operation this coming season in the DSTHL. The newly formed in-house league (AMHL) will begin its inaugural season in the Fall of 2017.